You made the right decision, walking away from the Monterey Bay Aquarium. It's a great place, but you can see fishies elsewhere. 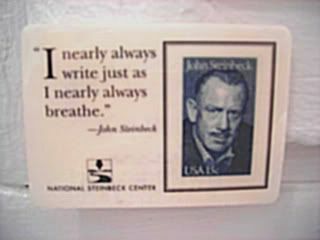 Steinbeck is such a large part of the character of the Central Coast.